Usually people need Android data recovery software when they find themselves in a situation where they have lost some precious data that they don't want to lose. Roughly an average of 78.48% Android users accidentally deletes data from the device. So, if you are in the same situation as well then don't be surprised. One thing everyone must reckon is that even if you deleted files from your Android phone; they are still in a very good recoverable position. What we mean by recovering is that the erased item is actually stored in the reserve memory of the phone and if you do not overwrite them with new data then you can re-link those missing files and restore them seamlessly. That's where Android Data Recovery tools comes into play. But the internet is flooded with tools and you will find yourself in a position where you will be keep asking which Android data recovery tool is the best? To make this process much easier, we have neared it down to the best 4 with great review details. There are numbers of reasons why you should choose DigDeep Image Recovery which is one of the top downloaded recovery apps in Google Play Store. 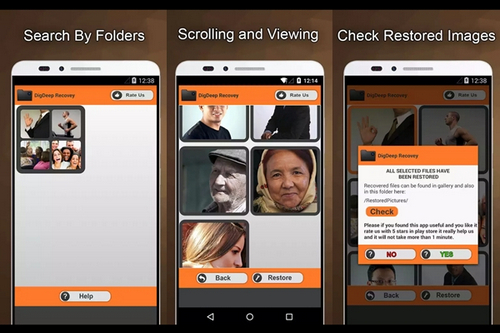 The good: DigDeep Image Recovery is a powerful Android photo recovery tool that restores the deleted pictures only. 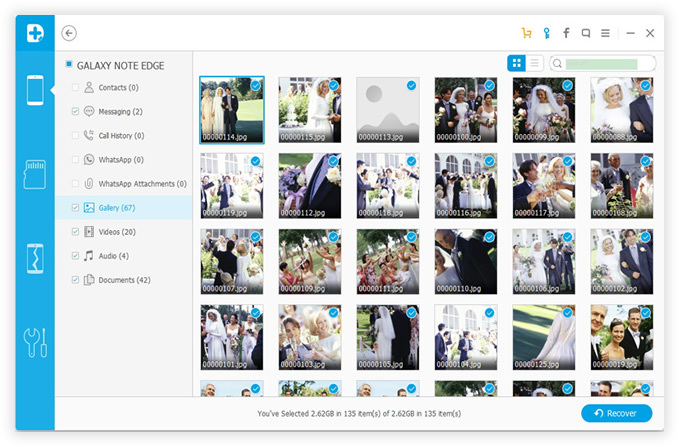 Whether the photos are deleted from internal memory or SD card, this tool can quickly scan memory units and throw back the files so that you can recover them effortlessly. It will even give you the option to preview the images so that you can restore them selectively. The Bad: It can only recover image files and nothing else. So, if you have lost documents, videos, music or any other data types then this program is pretty much useless. Also, there is a high chance the recovered files can go corrupted or the quality may be compromised. It is one of the newest apps in the market but has gained enough attention to make our top 4 list. The Good: Flawless tool to recover pictures and videos within few minutes. It can retrieve data from Android phone and Micro SD. Besides, it can save the files on your desired location or cloud servers. It can even bring back the data if you have formatted your SD card but make sure not to overwrite the memory unit after realizing the data is deleted. The Bad: Many people reported that it only gives the information of the deleted files but can't recover them successfully. Moreover, ads are supported which is another red flag. The reason why you should choose Androidphonesoft over any data recovery tools is because this tool guarantees data recovery. The Good: It is a desktop program supported in both Windows and Mac computers. It is capable of recovering over 19+ data types. To summarize what we mean is that it can restore all types of deleted items. From photos, videos, music to documents, WhatsApp chats, apps, messages, contacts and other database related items. It is 40X times faster than any other data recovery app in this industry and guarantees maximum retrieval. This tool can really turn a nightmare into joy because millions of people have reviewed this tool and proven the satisfactory consumption of this program. It really uses very high and powerful algorithms to bring back your precious data with a nice user interface. 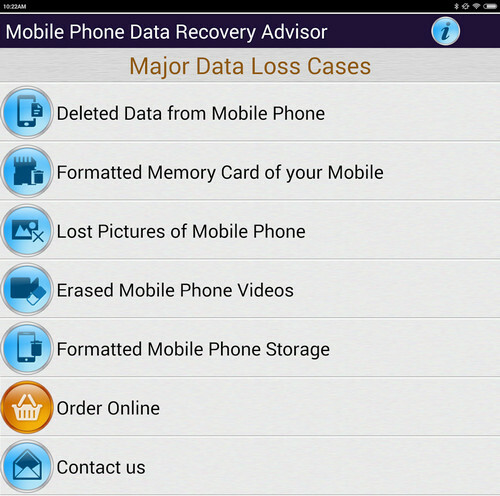 Androidphonesoft Android Data Recovery is fast, reliable, effective and provides best quality. You can check this page for how to use this program for data recovery. The Bad: Scanning data with this tool is free however in order to recover them you must buy the program. Also notice, it is only 1-time fee and you can take the benefit for life. Another great Android data recovery tool is GT Recovery - Undelete, Restore. The Good: This app has been around at the very beginning and it's getting better and better with update. The recent update stated that you can restore over 13+ types of data including from different driver types such as FAT, EXT3, EXT4. The scanning results can be easily previewed and it's available for free so far. It is extremely simple to use the tool.. Open the app and choose what item you want to recover. Whether it's SMS, photos, contacts, videos, etc. The Bad: Heavy app which keeps hanging for unknown reasons. No support is available if you need them desperately. It takes a lot of time to recover deleted items or files from Android. The whole process involves several complicated process. So bascially, you don't have the time or patience to try out all the available apps by yourself. That is why we make a top list after hours of testing. If you cared about the success rate, then Androidphonesoft is the best choice in 2108.